MBA is a life changing option, I learnt in the due course of time. Yes, entering into the part 4, the last part of my Admissions Race. I have now got admitted into a top B-School though I am not sure if I will accept that offer. It is a very big investment for a normal person from Asia or other developing countries where the average salary is less than 2000 USD per month. Good Schools will get you good offers, average schools get you average offers. Reading back to the Season 1, you need to choose the group where you will be able to suit up. If your primary goal is all about getting an offer letter from a top company like Deloitte or BCG or others then the move should be very cautious. Yes, getting placed is more important because your mindset is too poor to get only an offer letter after MBA. If you consider taking up a risk of being an entrepreneur I would have rather appreciated your move and there is a value for your MBA and the alumni base. Most of the MBA Grads will get at least 1 offer within 3 months of the completion of the course, don’t ask me about the Title or Package as it depends on the institute you have chosen. Note that there are highly paying jobs, but still you should understand the practical situation that the highly paid jobs are trapped only by 1% of the total successful outcomers. Always have a Plan B, life is full of uncertainty. On an average the course fees in US is around 75000 USD ++, you would need almost 3 years to repay the same if you have a decent job and staying away from the family and family expenditure. More strategic plans for solving the Expenditures and financing the MBA is discussed in my upcoming book with various case studies. Thanks for reading my posts constantly. My Part 2 of Seasoning MBA Applications begun with BIG THANKS and now my Part 3 of Seasoning MBA Applications beings with an Extra Large THANKS and apologies for the delay. This is a 4 part experience based information guide. Seasoning MBA Applications – Part 2 – What they need? Seasoning MBA Applications – Part 3 – How they evaluate? I will describe the reason for the delay in the later part of my post. Evaluation is the most critical part of one’s MBA application and one’s judgment. You read it right, Individual Applicant’s Application and Judgement of the Admissions Office(r). I tried to attempt a DDoS ( 😛 ) in each and every location where I applied for or my bro applied for. Most of the schools use the rubric as the key methodology. A stern analysis was done when the admissions officer gave her decision over the phone or email. If one has seriously taken the process of the application while opening that decision email, you pulse rate should be abnormal. Oh, I read the decisions in the restroom! I wanted to take the rest of the process into two phases i.e. what to do and what not to do! MBA Applications – What to DO? Firstly, you need to have good academic scores if you are a fresh graduate. Yes, they have a strong influence on how the admissions are about to proceed. Also, the base institute accounts to the Admissions Officer to ensure your capability. If you had been in Military Services (only US), then the chances of relaxation are bit higher. Though most of the Universities in the US do a holistic approach, still when facts are considered for the admissions, this score plays a key role. As said earlier, if you have taken up GMAT, well and good. If you have not taken up GMAT, instead you have a GRE score, do convert the same officially in ETS website. Most of the top 50 B-Schools expects to have over 80% of the score either it be GRE or GMAT. Reiterating, for those who have taken GRE and planning for MBA, please take-up GMAT immediately. And some schools also require IELTS / TOEFL tests to be taken, check their requirements and be prepared. All the test scores are valid for 5 years only. There is a term called the legacy, yes you could have seen this question in most of the applications if you have started applying for. “Are your parents alumni of this B-School or University?”. If your parents are alumni of the institute you have a greater advantage over the normal applicant. Again would like to warn you that there could be the competition or race between legacies. Certain institutes accepting only 15% of the applications are prioritizing their admissions for these candidates. The next factor is the TALENT. Applicants having admitted into those B-Schools have an extraordinary skill or proved talents. If the B-School is questioning “What is the major achievement in your life?” and if you are responding, “I am father or mother for a son and a daughter!”, it will give laughter in the screening committee, but will not give you an admission. Say something unique about you, try to convince the admissions officer that you are fit to enter into their B-School. Only tests and scores are not the life and that is not expected from an MBA Candidate at any point in time. Course interest should be clearly exhibited in your application. For the case, if you are planning for Finance some courses related to Finance and/or prior experience in Finance is recommended. This will increase the chance of getting the admission into the school. Essays! Most or even ALL the schools do require you to submit the essay(s). They determine various factors about you and they speak a lot even more what you could speak in the interview literally. There is only a thin line between the case of being accepted and the case of being rejected. You can easily overcome this thin line with your essay. In the entire application process, while filling the application, an applicant have control over only this part. The style of your essay should such pleasing that the Admissions Officer is upvoting your application. They should internally feel that they have to meet the candidate or speak with the candidate to learn more about them. The strategy of handling the process of compiling the essay should be speaking both your personal life as well as your Professional Life. Writing something mundane would be easy, but not worthy. B-Schools see for the perfection and crispness of expressing your contents publically. Work Experience could play a vital role in the eligibility of the MBA admissions at the UK, but as far as considered for the US even some top schools are accepting the applications from freshers. In my point of view, I could say that this is absolutely ridiculous and cannot be accepted. For a good MBA, it requires a minimum of 5 years experience along with 2 years of the managerial role as at least Team Leader. Without this, he / she can theoretically gain MBA, but the actual fruit cannot be tasted. Recommendation Letter indicates your performance as an employee or as a reporting head. First and foremost beware that if you are an excellent employee of the organization, he wouldn’t love to miss you from the organization. He would act as a clown and help you greatly to turn down your application. Be straight forward and don’t bluff or provide ballant information for the recommender to pull in. Mind that most of the applicants are better forger in the case of Recommendation Letters as they train their recommender to complete the forms. Resumes should be strictly 1 Page Resume in U.S. style. Don’t go for the normal 3 or 4-page resumes. First understand what to be said and what not to be said. I happened to read a resume which indexed the total family into it. Also, it had information about their 2 dogs. Apparently I have 3 dogs but never mentioned in any of the application. Extra Curricular Activities or volunteering activity doesn’t only includes giving food to the poor or homeless. There are many activities around the world. Serving as an Honorary Chairman is also a volunteering activity. When your academic scores are not that great, I recommend you to have more and more activities. A track record of prior community service and extracurricular activities is a good indicator of community engagement at business school as well as another opportunity to assess some caliber of the applicant. Awards and accomplishments are more important for exhibiting how you are better than the others racing on the same track. This says how you are better when compared to others. Confess Things in the optional essay whatever be deficient in your entire application. Let it be a low GMAT Score or low GPA or whatever be the case relating to your application. This will make the Admissions Officer little bit confident about the movement of the application. Interviews are just again another step of your application process and you are going to lively replicate what you have quoted in the application. If you are comfortable in making for the in-person interview, go ahead. Or else make it online or through other sources. A notable stuff here is Eli Broad College of Business of Michigan State University had a pre-interview which was through an automated stuff. That was pretty cool, but it fails. The reason is it has a set of 5 questions and the time for getting prepared is only 30 seconds. For a good practice session, one can create dummy accounts and attempt it, as well as finding the link is also difficult. Application Interests is the last but not the least. The admission officers of top rated b-school will look for the interest of the student on their application. Interest translates to campus visits, emails, and phone calls. But be careful that you are also not exploiting these options. Attitude matters here. MBA Applications – What not to DO? Send application without Proofing – This is the most common mistake every MBA applicant would do in their first application, by mistake. Please read through the entire contents and do a spell check of the entire document before submission. Send application without filling all the particulars – Certain important facts about the applicant which would haven’t been marked as the Mandatory field could have been skipped. The best example is listing all the employments is recommended but only the last employment would have been marked as a mandate. Send application beyond the deadline – These days, the applications are online. But still they have categorized Early Action Round, Round 1, Round 2 and so on. I would personally prefer you to be ready for Early Action Round rather thinking about further rounds if you wish to get admitted into the top schools. Sending application without sticking to the guidelines – Do never cross the limits nor drop to a greater point. Yes, you need to stick on to the instructions provided in the description point. Violating them will make the Admissions Officer unstable with your application. Mostly if the essays are limited to 500 words, stick to it. Yes, you know a lot, but the AO is not having that much to time to read it. Send application without basic homework – Understand the application process and how it is connected with each other. The chain should be perfect without any break. Send application with mispresented Facts – Another area who try to exaggerate themselves use to have this information in their application. 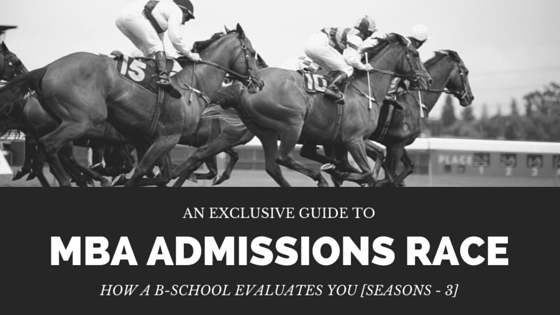 The Admissions Officer will surely know your ability and this could lead you into a big trouble even later. Send application with low attitude or immature style – Doing something creative is important, but at the same time, doing something clumsy will affect your acceptance rate. Excessive Application Interest should be avoided, if you are performing a top-down approach then you should have heard about reaching the admissions office through email or phone. Don’t perform it too much. Bad Recommendation Letters – Off my ascertaining in the past days, I saw a recommendation letter from his friend. Choose the best recommenders for your life. Yes, your friend can say about you very well, but cannot judge you with his information. Bad Resumes are one of the bad pointers in your application. Giving 7 pages resume or biography is not recommended. I am trying to spot out the right template, still stuck up. Will get it shortly. Selecting schools are more important. First have a look at the class profile and ensure that you will fit into that group.